Is Your Furnace Seeing its Last Massachusetts Winter? Regular maintenance of your heating and air conditioning system allows minor repairs to be caught before they become major, costly replacements. However, even the best-maintained furnace cannot and will not last forever. The average furnace life span is approximately 15 years. While the equipment may last that long or even longer, it's likely that your heating bills are higher than they need to be. Components break down and all furnaces lose their efficiency over time. Size of unit – Is the current system over or under-sized for your home? This can lead to premature failure. Investing in a new furnace in this year could be one of the best decisions you make! Here’s why: Efficiency standards for all heating and cooling units sold in the United States are regulated by the U.S. Department of Energy. Every heater, air conditioner and heat pump is assigned one of these efficiency ratings. For gas or oil-fired furnaces, the Average Fuel Utilization Efficiency rating (AFUE) is the standard measure of seasonal efficiency. The AFUE rating is given as a percentage, indicating how much fuel is used to heat your home and how much fuel is wasted. High-efficiency furnaces, like those that are ENERGY STAR certified, have AFUE ratings of 95% or above. This means that the furnace converts 95% of the fuel that you supply to heat your home - the remaining 5% is lost out of the chimney. Furnaces that are over 10 years old could have an AFUE somewhere around 60%, meaning you could save up to 40% on your gas or oil heating bill by replacing it with a new, high -fficiency furnace! Massachusetts residents have an opportunity for additional savings when replacing their heating and cooling system. Mass Save offers rebates on the purchase and installation of residential heating and cooling equipment that meets certain energy-efficiency specifications. If you purchased an ENERGY STAR certified gas furnace in 2016, it will meet the requirements for the Federal Furnace Tax Credit. All other ENERGY STAR Federal tax credits expired at the end of 2016. Are you noticing odd sounds coming from the furnace? 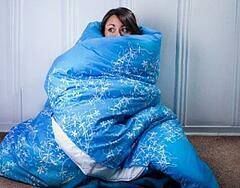 Does it seem colder in the house than last winter? Maybe the pilot keeps going out. Don't wait - call for a check-up now. Winter will be over in a couple of months, you say. You’ll be shutting the furnace down for a long stretch, so why deal with calling for repairs, right? WRONG. Repairs should always be done at the earliest possible time so the problem will not have the opportunity to worsen. When you decide to get a new furnace, the best course of action is to call in a certified professional to calculate the correct type of furnace you need, and the one that will keep your home heated effectively and efficiently all season long. All Total Comfort Mechanical systems, accessories and products are installed with a dedication to quality and reliability. Whether you choose to make repairs or replace your system, you can expect to receive Total Comfort for your home and family. BURLINGTON, Mass. 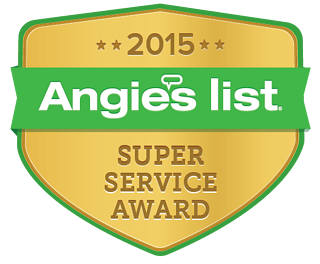 – Dec. 20, 2016 – PRLog--Total Comfort Mechanical has earned the home service industry’s coveted Angie’s List Super Service Award, reflecting another exemplary year of customer service to members of the local services marketplace and consumer review site in 2016. Founded by DePaiva in 2009, Total Comfort Mechanical serves the Massachusetts cities of Burlington, Bedford, Lexington, Winchester and surrounding MA locations. The company offers a wide range of heating and cooling services and specializes in energy-efficient indoor climate options, with a focus on ductless heat pump and air conditioning installation. For more information, visit the company website at www.totalcomfortmech.com. BURLINGTON, Mass. - Jan. 17, 2016 - PRLog - Total Comfort Mechanical, Inc. of Burlington, MA has earned the service industry’s coveted Angie’s List Super Service Award, reflecting an exemplary year of service provided to members of the local services marketplace and consumer review site in 2015. The company also was awarded this honor in 2013 and 2014. “Having won this award for the third year in a row makes us extremely proud,” said General Manager Wendell DePaiva, “…as not only meeting but exceeding the customers’ expectations is our ultimate goal”. To set up an appointment with Burlington's favorite heating and air conditioning service, call (718) 697-9016. For more information, visit their website: http://totalcomfortmech.com. 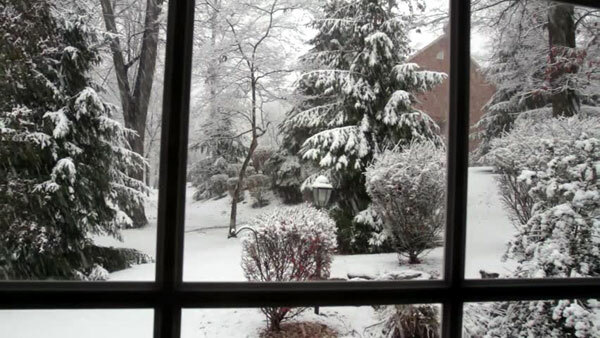 Source Total Comfort Mechanical, Inc.
You don’t have to freeze to save on your heating bill this winter. Did you know that heating and cooling your home uses more energy than any other system in your home and accounts for approximately 56% of your total utility bill or more? With recent forecasts for a spike in this winters’ fuel costs – it’s a wise decision to prepare for the colder weather ahead. Following a few small steps can help you to save big on your home heating costs. 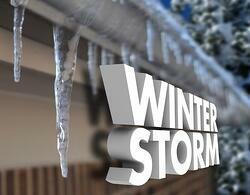 Natural Gas customers will pay an average of $679 this winter for heating, up 13% from last year. Heating oil customers will pay $2,046, down 2%. Use a programmable thermostat. Save money by simply setting your thermostat 10 degrees lower when you’re away from home or asleep. Keep air vents clean and uncovered so heat can easily flow throughout your home. Use natural sunlight to your advantage. Open drapes when you are getting direct sunlight, then close them at night to keep heat from escaping. Think of the sun as a heater and your drapes as a blanket. Make sure the damper in your fireplace is closed when not in use. Replace the air filter at least once a month. Schedule a heat system check-up with a reputable heating contractor. Regularly scheduled maintenance of your heating system keeps it running most efficiently and increases the life of the equipment. Many states, including Massachusetts, offer rebates for homeowners who invest in Energy Star products which utilize the latest technologies designed to consume less energy. These incentives being offered are above and beyond Federal Tax Credits for installing approved heating and cooling systems. For example, Massachusetts utility customers can receive up to an additional $300 mail-in rebate from Cool Smart on qualifying installations. Check with your local HVAC contractor experts at Total Comfort Mechanical for more information.